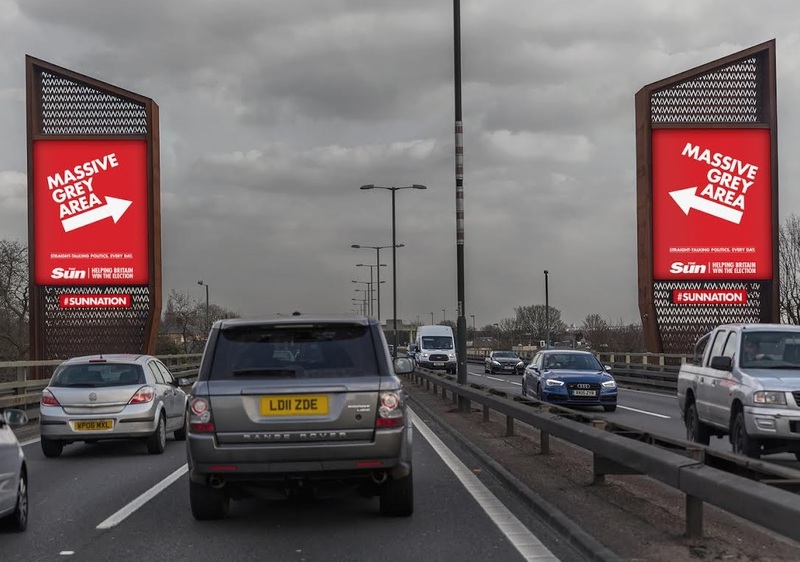 The Sun is counting down the remaining hours until polling day for the UK general election with a location contextual outdoor and print campaign designed to encourage people to get out and vote for the good of the country. Moving on from controversy surrounding the newspaper’s split allegiance between the Conservatives and SNP the red top is urging people to vote for whomever they choose as part of its ‘Helping Britain Win the Election’ push. Locations including the M4 Towers, Piccadilly Circus, Waterloo Station have been chosen for the push, devised by Grey London, each of which adopts a varied approach. A fleet of black cabs have also been repainted in tabloid red with flip-up seats bearing the legend ‘Not the only swing seat in the country’.